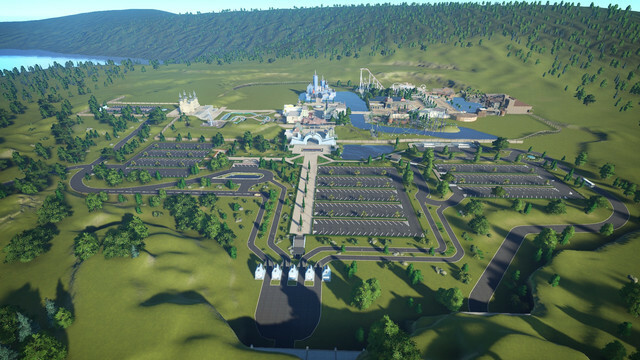 I'm building my second park so far at this moment. I would love to hear your toughts about it. The images shown are just a small piece of the project. The architectural style and details of construction, plus the overall layout, are superb! It all looks really nice. 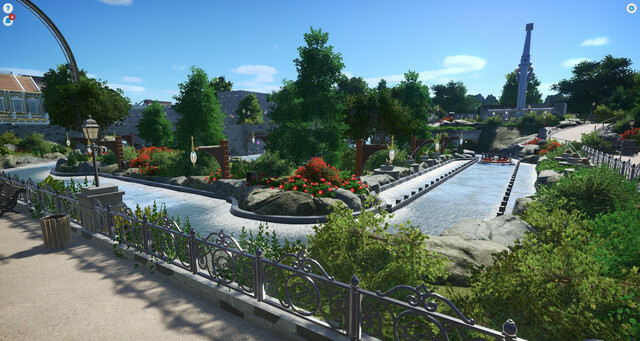 The only suggest I'd make is to add just a tad more contrasting colors to that big pirate facade all around the pond. 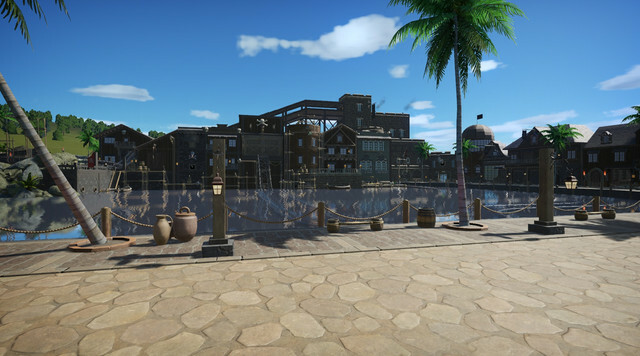 Don't go painting buildings all different colors as that would get off the pirate theme. 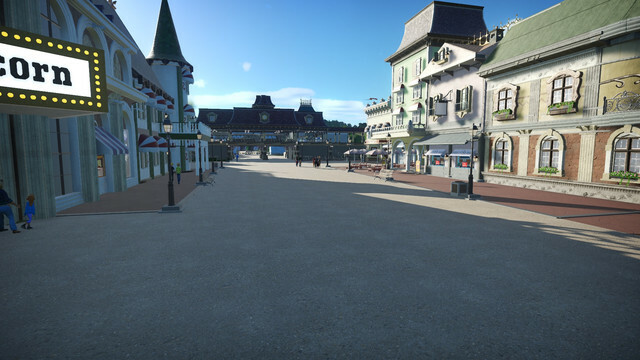 Just slightly change the shades of walls and/or trim here and there, so it doesn't look like it was all built as 1 big project, but accumulated out of separate buildings that grew up over time. Thankyou for the advice! I will definitely change it in the future. 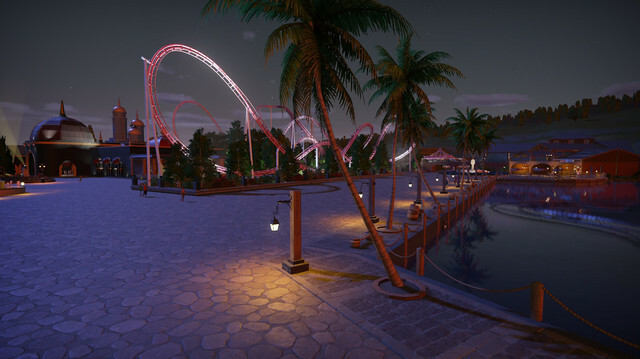 Hereby more screenshots of the park so far. 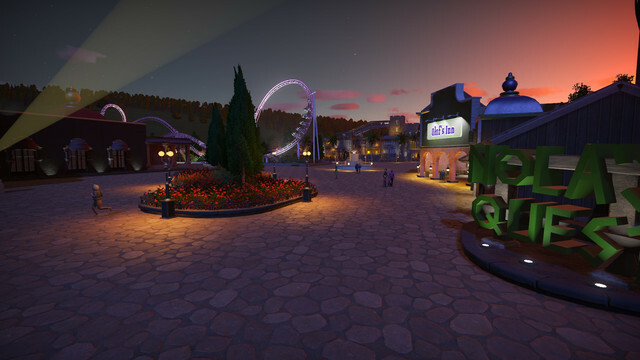 The first is the overview where you can see the parking lot and mainstreet. 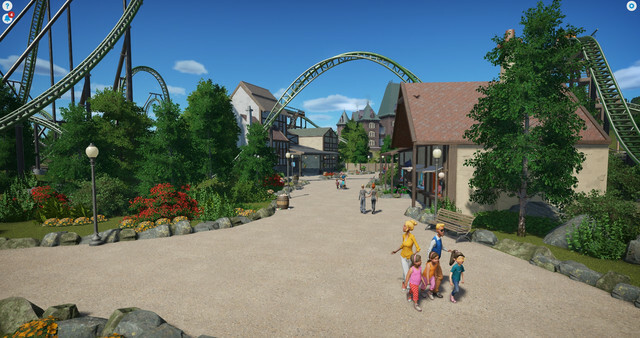 I create some of the buildings my own at the left side ( from entrance ). For the right side i used some from the workshop and made them fit. Looking good! I am excited to see what else you have in store for us! Yo guys! 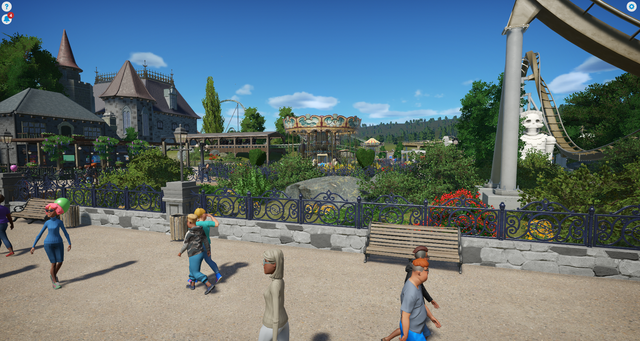 I don't have bunch of time but here is a little update of my park. 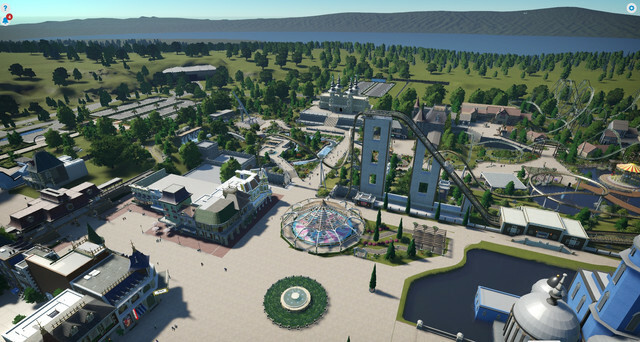 I expended to the left side of the entrance with the start of a dive coaster and a water ride. 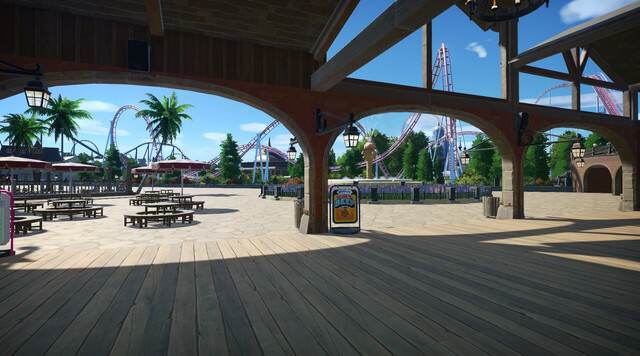 Behind the dive coaster there is the Torque launche coaster wich interact with the paths and buildings. Glad to see you're still working on this. 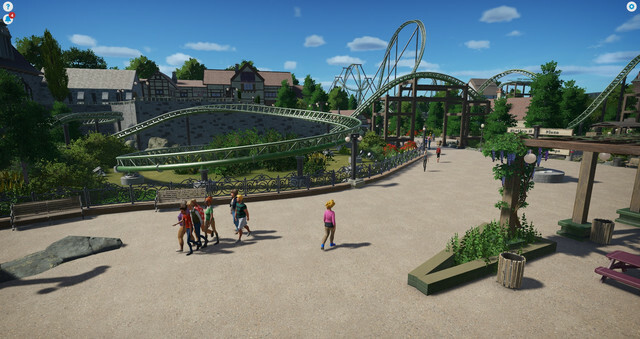 The new additions look great.